When you shop at different charitable stores, do you become frustrated by the uncertainty of pricing you may encounter? A nice dress might be $20 in one store, but $5 in another. Perhaps you're paying 50c for a t-shirt in your local opportunity shop, but $6 in another store out of town? 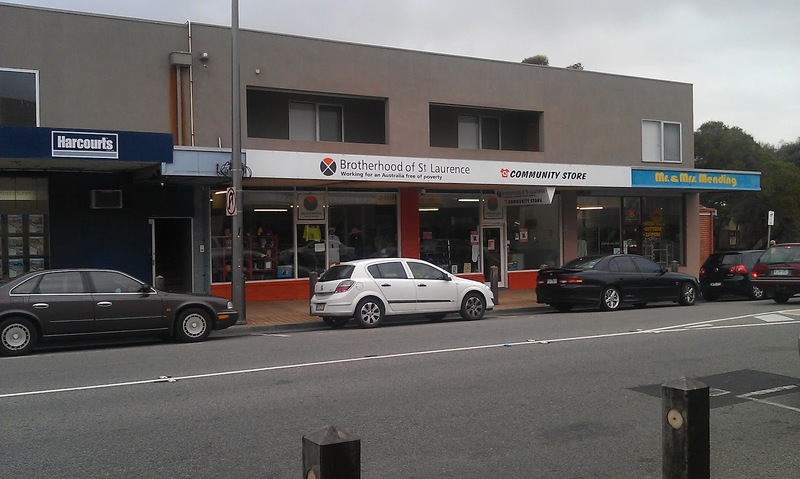 Brotherhood of St Laurence Community Stores have commenced a new concept to consolidate all op shop pricing across their existing stores. 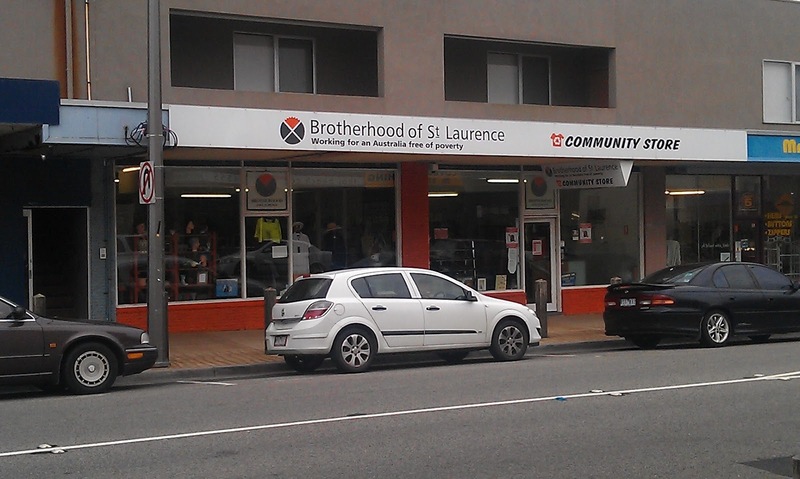 The Brotherhood of St Laurence price guide now means that you can expect to walk into any The Brotherhood of St Laurence Community Store, and purchase a short sleeve t-shirt for $4, then walk into another, and get the exact same price for the same type of garment. "We are doing all we can to try to listen to our customers and adapt and change in a way that is best for the consumer and the charity itself." BSL's Communication Manager, Natalie Baxter tells me. Natalie continues.."In-store we have just rolled out some fantastic category signage which not only lights up the store, but outlines the new prices". I popped into Brotherhood of St Laurence Community Store in Seaford today. I did not see the aforementioned orange signs, but the prices were comparable, if not a little cheaper. When I asked Natalie about the lack of orange signage, she advised they do aim to roll out the concept to all Brotherhood of St Laurence Community Stores, however this particular op shop is run slightly differently; they are managed by volunteers, "which have their own committee including a President, a Treasurer etc. and make a lot of the decisions amongst themselves" Natalie tells me. "Our managed stores have paid managers and depending on their size a few core staff as it would be near impossible to rely on the good faith of volunteers 6-7 days a week in a size of the magnitude of a store like Brunswick - it would simply be unfair to place that pressure on a volunteer. On top of the core staff in the large format stores the store has a huge number of volunteers at any given time - again depending on the size this could be 20-50." says Natalie. Going back to the topic of consolidated pricing, this does make op shopping somewhat easier in store, when all garments are the same price, and you don't have to find a price tag before you consider buying. Readers, what are your thoughts on consolidated pricing? Would a consolidated pricing structure encourage you to buy from a charitable store over another that does not have structured pricing? but it is a single price *unless otherwise marked. What is the point really?! I think the better idea would be if op shops 'got-a-clue' and priced garments accordingly. 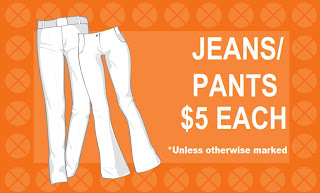 I'm not going to pay $7 for something from valleygirl - it could have been purchased new for that price! I kind of like the randomness of the prices. It makes those bargain finds all the more exciting. I agree with Peta. There are a few op shops near us, I don't even bother to look at the clothes in one of them anymore, a Supre dress or a Millers shirt for $10? .... makes me think the people that work there have never been into those stores. I have nothing against those brands but when I buy them, I don't even pay that for them new. And that *unless otherwise marked - either put it in a different section or don't bother, no point. I have given up even browsing in one particular oppy-chain. Its prices are laughable/delusional.$100-$160 jkts, $75 boots...No wonder I do so well with my Vintage shop, as I'm often cheaper than the local oppy,AND with better quality garments! So much for "charity". But I DO support certain smaller shops; donating unsold stock to them. It's tricky - so many volunteers are elderly ladies, and I'm not sure they really have any idea what current high street pricing for a lot of brands actually is! Hence the more expensive 2nd hand than new scenario, but also the occasional designer bargain - obviously the staff at my local charity shop didn't come across Galliano too often! However, in enormous stores like you show, I can see it would be helpful for generic high street items if they were all priced the same. 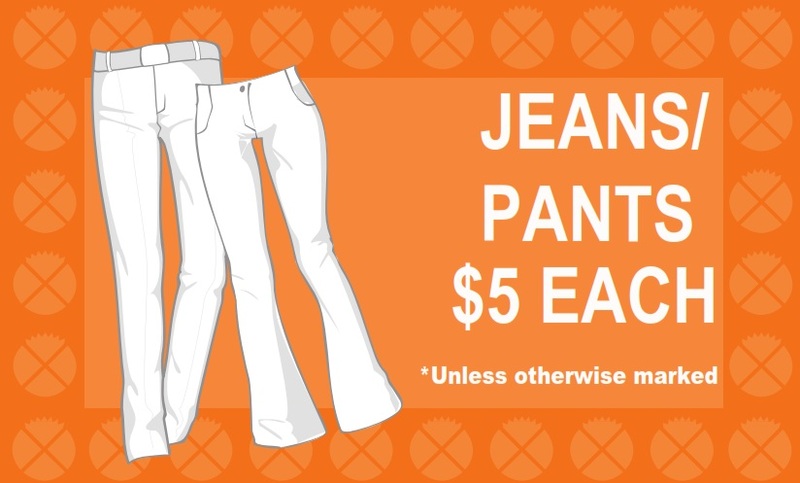 yes, I like this pricing system, in fact for most of our thrift stores here, they follow this system, they have a standard pricing for most clothing items so they don't need to go through the hassle of putting individual price tags. 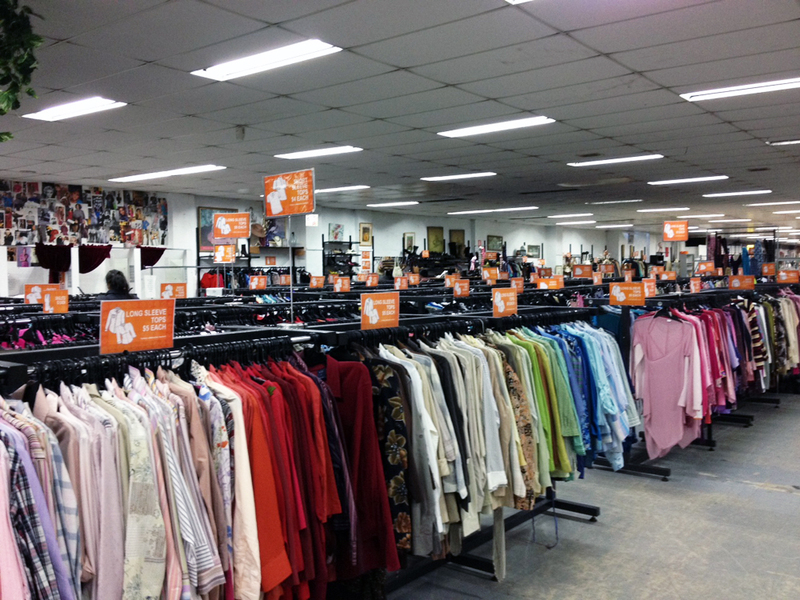 The Brotherhood thrift stores look really organized and well layout, which is something lacking here at our thrift stores. Thanks for all your feedback on this one ladies! very interesting topic and one that I think involves a lot of thought. 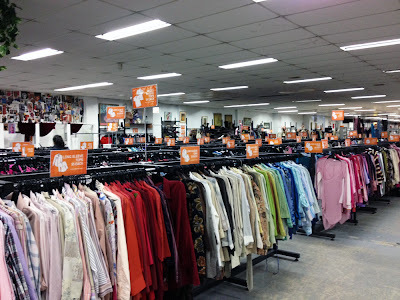 I think first and foremost that those that have not worked in an op shop or understand how they work should know that most of these shops operate off goodwill - the goodwill of people donating goods but more importantly their time to run these stores to make some money for the charity behind them. What you will find is that the majority of those donating their time are in the older age bracket and you cannot possibly expect people to learn the ins and outs of all brands and keep their knowledge 100% up to date - its a big ask of people who already give up so much time. However in saying that feedback is always a great way to break bad habits so maybe provide yours at store next time and slowly we may see change.